Together, we can solve our community’s biggest challenge. Whether it’s through your business, online shopping, or even with your generous donation, please help support The United Children’s Education Foundation so we can help support our community. Click on the video below to get more details on how this program works. A number of years ago, several community leaders realized that something needed to be done: the tuition crisis had come to a head. Together, they devised a new school of thought which would unite our community and businesses to support our yeshivot. Their innovative plan was designed to provide equal opportunity for the children in our community. A pilot program has shown that their efforts have been successful. To date hundreds of thousands of dollars have been secured through our programs, with proceeds to benefit our Yeshiva parents. With the endorsements of Rabbis and community leaders, the initiative will now be launched for the greater community. UCEF has royalty agreements with vendors in different industries, where a royalty is paid on all business done through our programs. All vendors have been through our pilot testing process. Desiring to please the business stream from our community. Our partnering vendors provide diverse services. Your business uses one of UCEF supporting service providers. These royalty payments will add no additional cost to your companies. Funds will be granted to our Yeshivot on behalf of our community parents. Funds will be granted equally on a per child basis to all those that qualify and will be applied to each child’s tuition invoice. 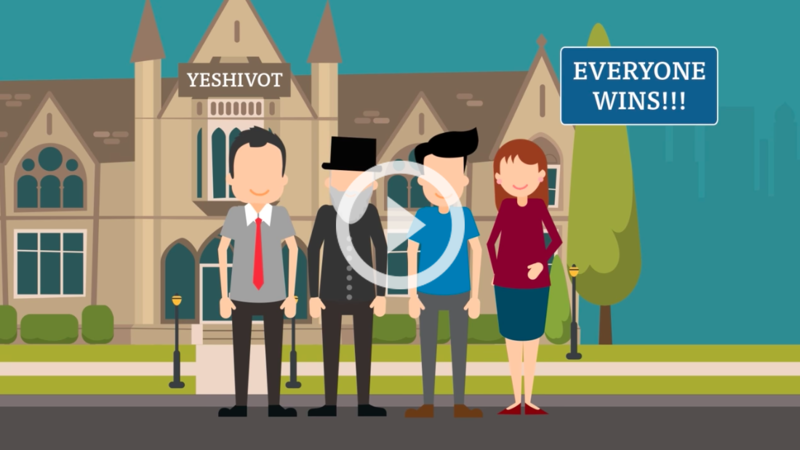 The community, your business, our Yeshivot and children all benefit without any additional cost on your part.